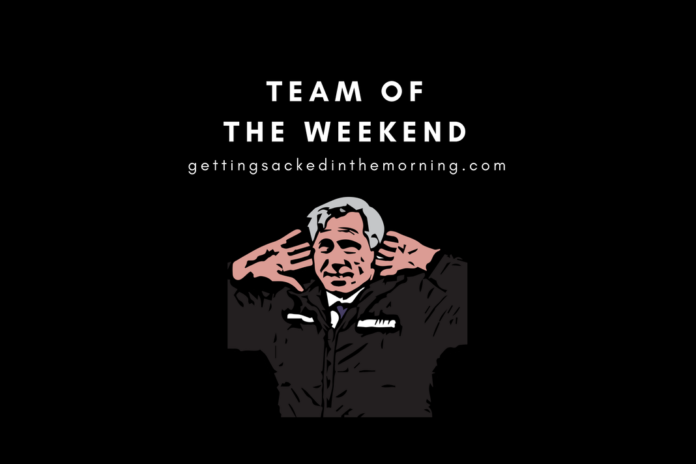 Hello and welcome to Team of the Weekend – our review where to we take the best and worst from the Premier League and put them into one lopsided team. With penalty saves galore, a couple of great goals and a glaring miss, there’s a real mix this week. Let’s get into it. 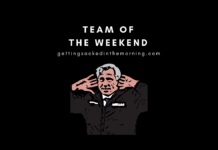 Marcus Bettinelli – I wish it was possible to pick three goalkeepers this week but alas that would be a step too far even for Garth Crooks. As long term readers of this column will know, penalty savers get an instant pass to the TOTW, so in a weekend where three keepers stepped up to save their teams I had a choice to make. Taking the bronze medal is Wayne Hennessey, who saved Charlie Austin’s weak effort. Joe Hart gets silver for stopping Paul Pogba’s effort. That leaves us with Fulham’s stopper Marcus Bettinelli who has got the nod for two reasons. Firstly, it was the better save. Secondly, Fulham bought two keepers this summer to replace Bettinelli so this will be a massive boost to him, who must have thought his first team days were numbered. 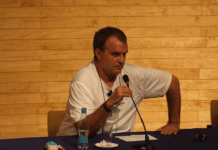 Alisson is spared a hall of shame inclusion for his terrible Cruyff turn. Sometimes my rules help the needy. Kyle Walker – We’ve waxed lyrical about Benjamin Mendy so it’s about time his opposite number got some praise. Walker’s 30 yard rocket pretty much confirmed that everybody in Man City’s team is capable of scoring but more importantly City showed they can win even when not at their best. They do miss De Bruyne though, no matter how much talent they have. Shkodran Mustafi – What a header! We spend a long time chuckling about how poor Arsenal are defensively but Mustafi at least provided some sort of contribution for his side on Sunday with the opening goal from a Grant Xhaka corner. With Petr Cech struggling to pass to a team mate Arsenal had to adopt the “score one more than you” approach but whether that is sustainable under Emery remains to be seen. Craig Cathcart – I’d genuinely forgotten Cathcart was still at Watford but after a series of injury problems, fair play to him for making his way back into the starting 11. The Northern Irishman headed in what proved to be the winner in an entertaining second half against Tottenham as Watford continue to defy the odds and fly high in the table. Sadio Mane – As Mo Salah struggles to find his ruthless streak, Sadio Mane certainly isn’t. His contribution last season is often forgotten amongst Salah’s heroics but he’s started this season in wonderful form and he took his opener at Leicester with a huge amount of confidence. What odds Mane being Liverpool’s top scorer this season? Eden Hazard – Yep, he’s back. Even with his limited minutes this season he was still providing goals and assists so it should be no surprise he wrapped up Chelsea’s win over Bournemouth with a late goal. Chelsea are increasingly reliant on Hazard (and Marcos Alonso, somehow) so it would have been interesting had he gone to Real Madrid. Chelsea have started brilliantly under Sarri and it’ll be interesting to see how it develops from here. Adama Traore – When your super sub is the roadrunner, that can only help. We all love a last minute winner and poor old West Ham are having a right time of it at the moment, so in many ways this felt inevitable. The story of Traore on his last day of Middlesbrough training really pulled at my heart strings so I didn’t need a second invitation to include him. Victor Camarasa – Cardiff’s first Premier League goal came courtesy of their on loan Spanish midfielder Camarasa, who must wonder what he’s got himself in for at times. Cardiff are probably the polar opposite of a Spanish style of play but Camarasa showed a wonderful touch to control a cross and lash beyond Cech in what was the first of two equalises for Cardiff. A losing effort nevertheless but Warnock will be delighted his signing made an impact. Glenn Murray – Martin Keown rather optimistically referred to Glenn Murray as “Brighton’s Harry Kane.” I’m not sure where to start with that. What is certain though is that Murray’s double got Brighton out of a hole on Saturday and they are a better team with him in it. Chris Hughton seems to have fallen for the trap of buying strikers from the Dutch League, the count is currently at two, but Murray has seen them both off. How many goals would Glenn Murray score in the Eredivisie? There’s an experiment I’d like to see. Raul Jimenez – It’s been a while since a Premier League striker was faced with a clear shot on goal only for him to get his feet so confused he blocked his own shot and then fell flat on his face. I actually thought he had looked reasonably handy in his previous appearances so we’ll put this down to bad fortune, but a sure fire hit on a bloopers DVD. Or a blooper blu-ray as it would be…or YouTube as it actually is in the modern day. Romelu Lukaku – Just when his manager needed him most. A double from Lukaku handed Mourinho and Man Utd a much needed result after a week of turmoil. Call it papering over the cracks or the start of a new era, only time will tell. But for now, the red side of Manchester is toasting Rom. Mark Hughes – Two wins in a week for Southampton, following up their south coast “absolutely not a derby” win over Brighton on Tuesday with another away win, this time at Crystal Palace. Hughes hasn’t had a lot to shout about in recent months but things have taken an upturn and he’ll be a lot happier heading into the break. That’s all from me for now but Team of the Weekend will return in two weeks after the International break. What’s Going on with Captain Özil?